It’s World Book Day this Thursday (5th March), and to celebrate, many schools and pre-schools are asking the children to dress up as a character from their favourite book. I’ve known for a couple of weeks that SmallSmall needs to dress up on Friday, but inevitably, I have done nothing about it. And now I have 4 days, and very little time to come up with something…! So, the obvious answer is to waste spend time scouring the internet, and writing a blog post..! 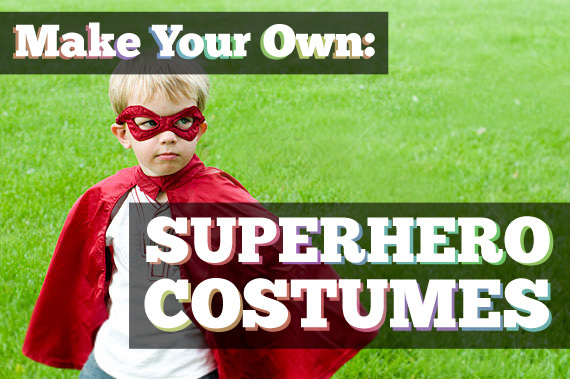 Some brilliant ideas here from KidCrave for everything from capes and masks to winged shoes..! Good old Martha Stewart has this tutorial for a super hero t-shirt and cape, that looks great teamed up with some plain leggings and a mask! Easy ideas here on BuzzFeed for making the most of what you already have and creating a whole host of the characters from Disney’s hit movie! And there’s another TWENTY ideas here from Mom Endeavours! Another one from the same clever lot at The Educators’ Spin On It is this Gruffalo apron! No sew mask from Kids Activities Blog. You could probably do something similar to this with cereal boxes and felt. And then team it with some green clothes! 12 No Sew costumes for World Book Day from The School Run, including Harry Potter and Where’s Wally! World Book Day costume ideas from Activity Village, including Horrid Henry, and The Little Princess! 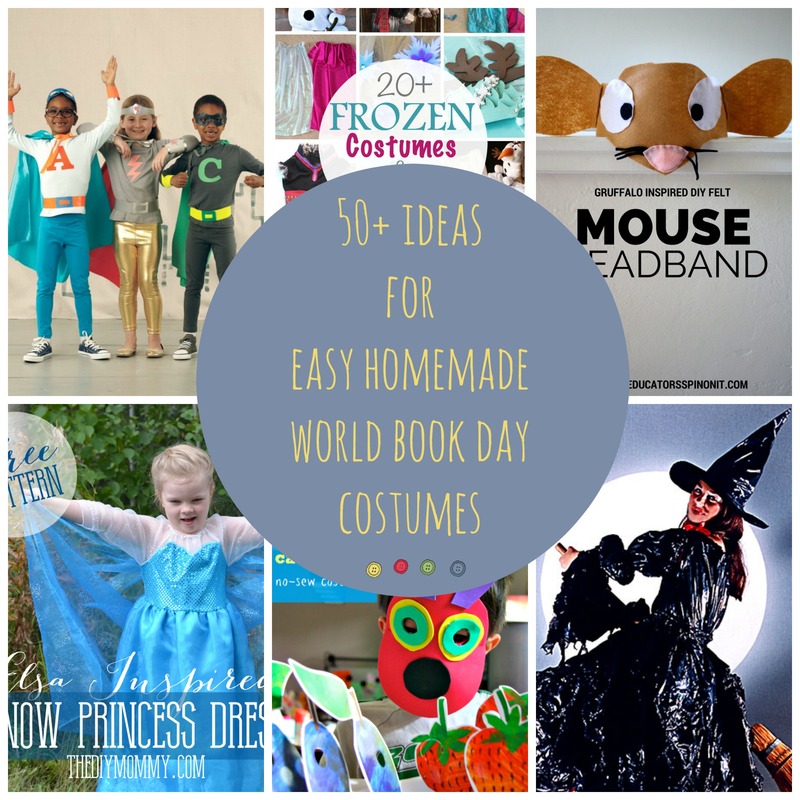 30 ideas for last minute World Book Day costumes from Made for Mums, including Matilda, and Mr Bump! Book Aid International has a whole range of downloadable instructions, including The Cat in the Hat, and Elmer! OK, so now I just need to stop Pinning, and start making…! « Make Do and Mend-able countdown!